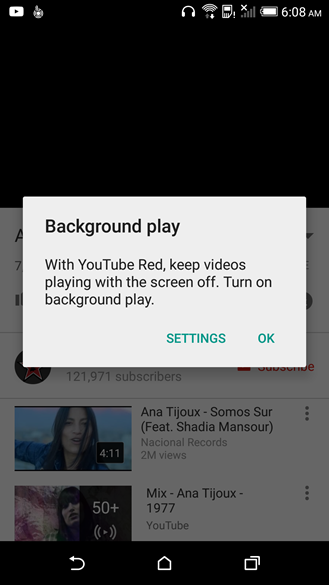 An update to the YouTube app includes text that describes a product called YouTube Red as the service that enables background playback, a feature that has long been restricted to Music Key (and Music Unlimited) subscribers. 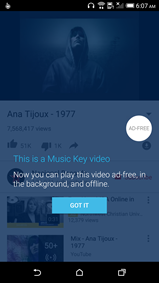 The phrasing has only been changed in a single piece of text, but it is used in two places: it can be seen in a notification the first time a user navigates away from the YouTube app while playing a music video, and again as a dialog box when re-entering YouTube through certain means. The screenshots below show the wording in use. The change in wording appeared in a teardown of YouTube v10.37. 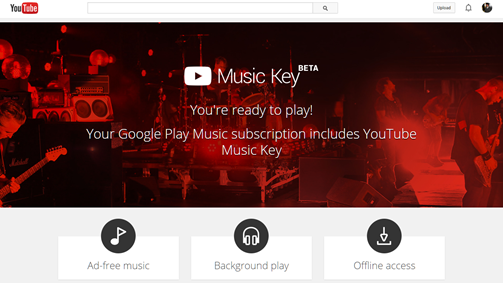 Aside from the text above, both the YouTube app and web interface still refer to Music Key. Even a search for "YouTube Red" doesn't produce any relevant results. The promotional page also remains unchanged. Left: Music Key still appears in the app. Right: Current Music Key promo page. 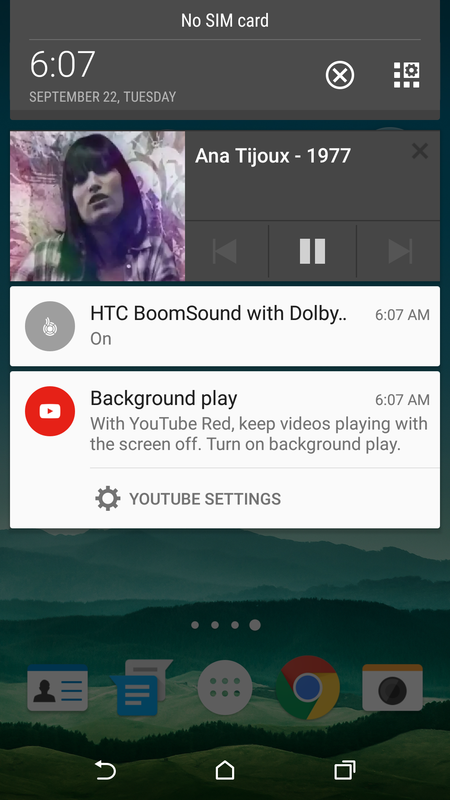 YouTube Red obviously overlaps with at least one of the features of Music Key, but it's not clear if Red will simply take its place or if there are other differences, as well. After posting the screenshots to Google+ yesterday, we've received multiple tips that agree about this being a rebranding, but nothing concrete regarding possible changes. Music Key still bears the "beta" label above its name, so a rebranding may suggest Google is ready to declare the subscription plan is no longer an experiment. Changes to the feature set may also come along with the new name, though none of the recent teardowns include anything that looks like a subscription-oriented feature. With a major Google event scheduled just one week away, it's possible we'll hear more about this on September 29th. Perhaps YouTube's ad-free subscription will finally launch along with the new Chromecast. If this happens, YouTube will surely split into multiple service tiers and may adopt a naming convention with colors like Red, Silver, or Gold to indicate level. This is obviously speculative, but it certainly could explain the timing and name choice. "You can keep playing audio in the background. Go to Settings to adjust." Objectively speaking, this text obviously should be changed back because it could be confusing to people reading it for the first time when they may not recognize the name or know the background. But let's be honest, the more likely reason is that the new text was not meant to be seen just yet and Google is walking it back until it's time for a formal announcement.